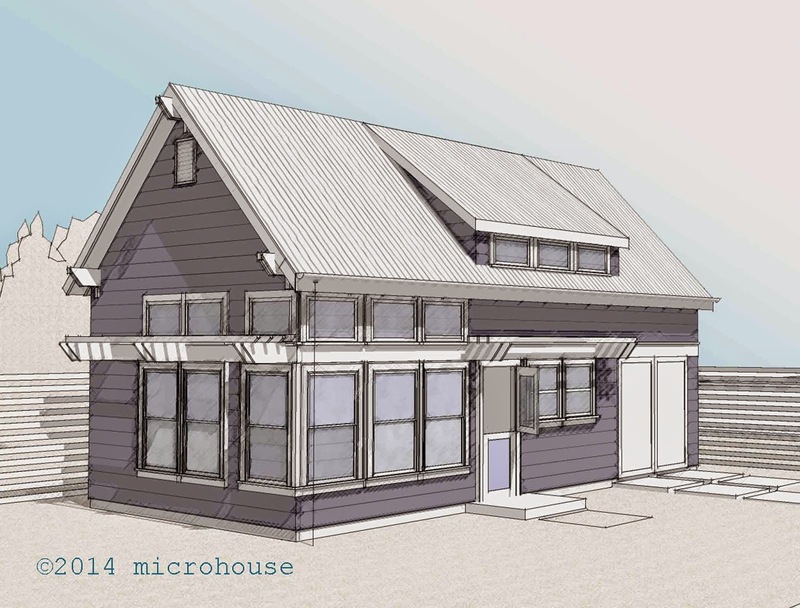 Open houses are a great way to get a feel for these small houses, to meet the design and construction teams, and others interested in building backyard cottages. 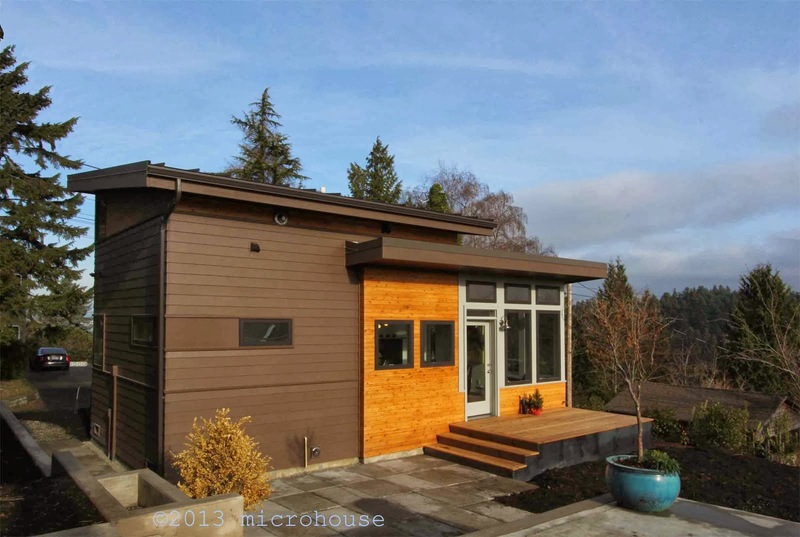 At microhouse we have seven backyard cottage projects under construction in Seattle and are looking forward to our next open house this winter or spring. We won't be able to host open houses for all of our projects so we thought it might be fun to have vote to help choose which cottages are featured. 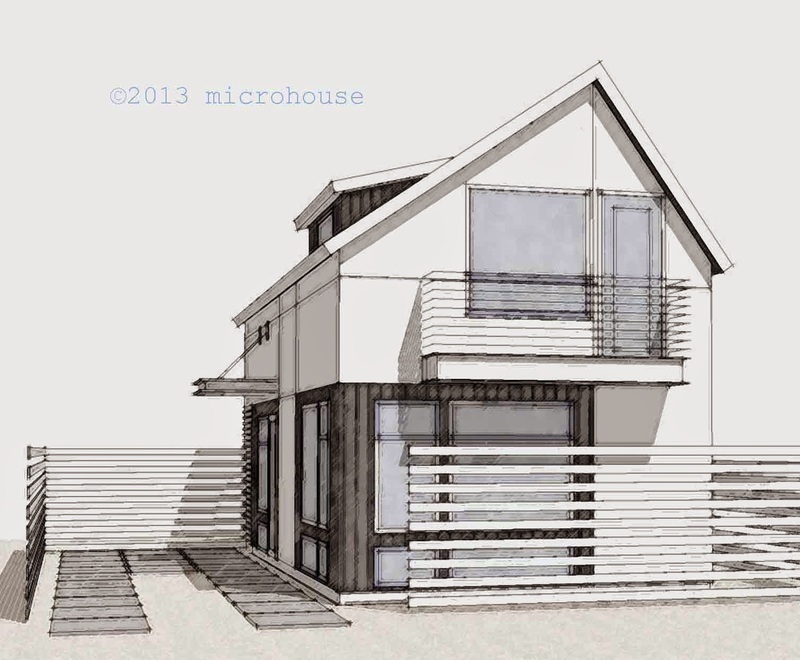 To vote you can send us an email open house vote or visit our microhouse pinterest page and like the cottage you would most like to visit. 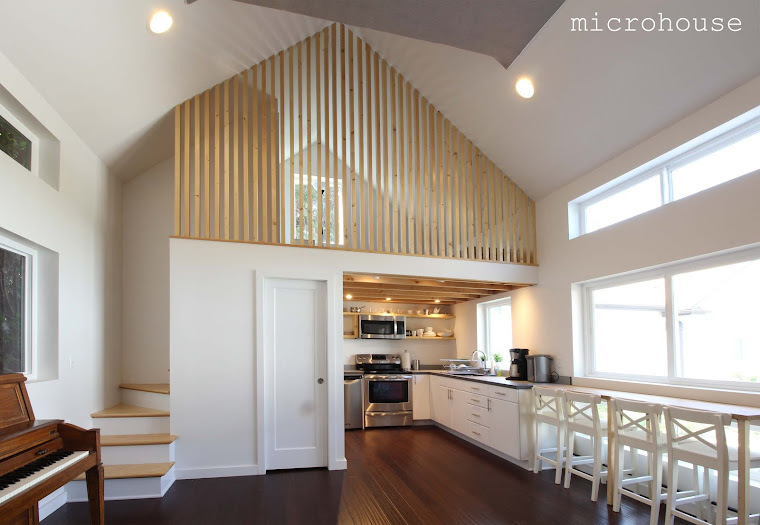 The capitol hill backyard cottage features one bedroom, living room, kitchen and bath on one floor and a sleeping loft. 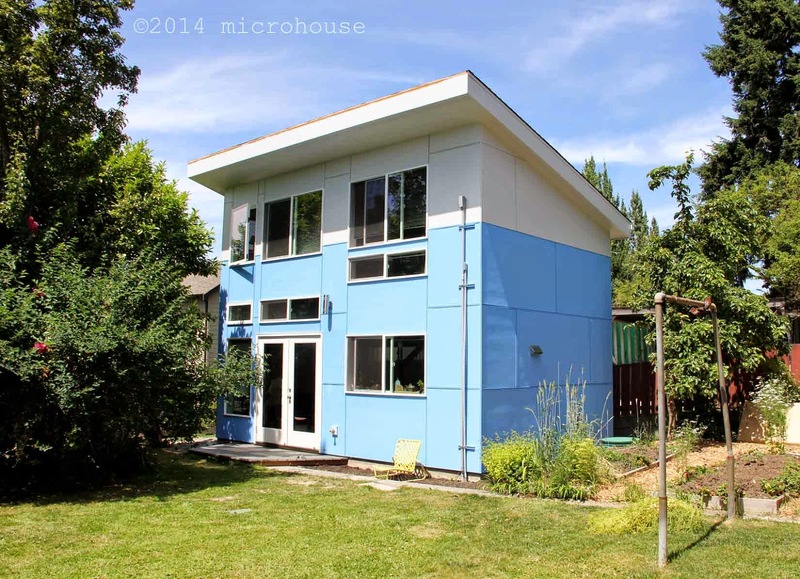 The tangletown backyard cottage is Seattle's 100th built backyard cottage. 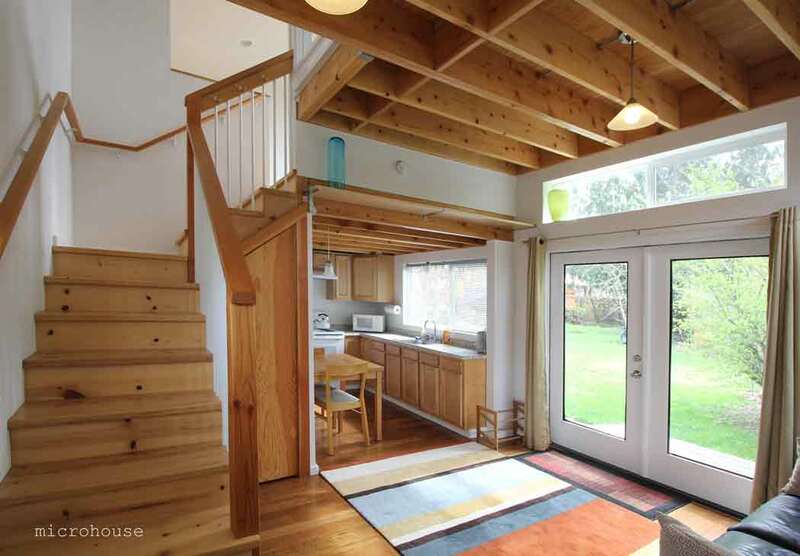 It features an open first floor plan with a living room and kitchen. The second floor contains a bedroom, bath and study. The Madison Valley backyard cottage has a few bonus features that we usually able to feature like a powder room, mud room, and rooftop deck. 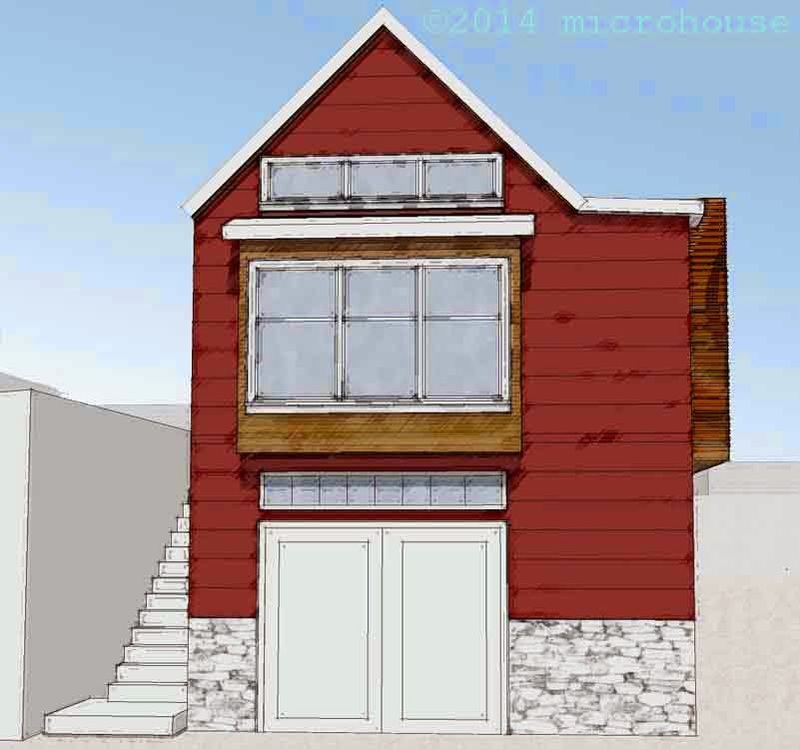 The Broadview backyard cottage will be roughed in by a general contractor and the owner's will complete construction. The cottage features a garage which will be converted to a bedroom at a later date. 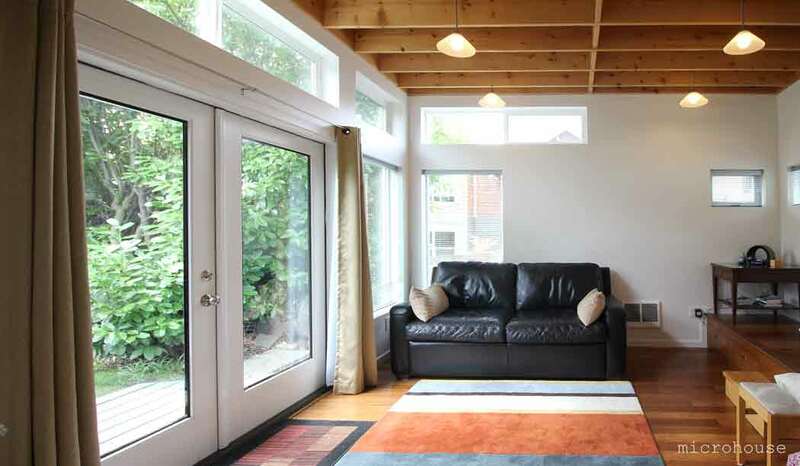 The Portage Bay backyard cottage has great views and an open contemporary plan. One bedroom is located on the first floor but the kitchen and living room are on the top floor to take advantage of the views. 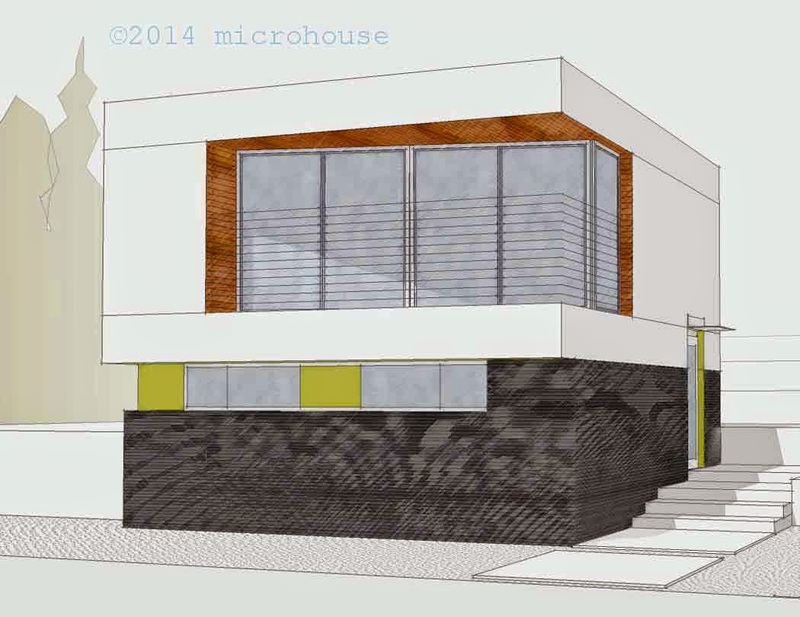 The Fremont backyard cottage is being built not over a garage but a room for table tennis. When it is completed it will be the home of it's owners while they rent out their primary residence. 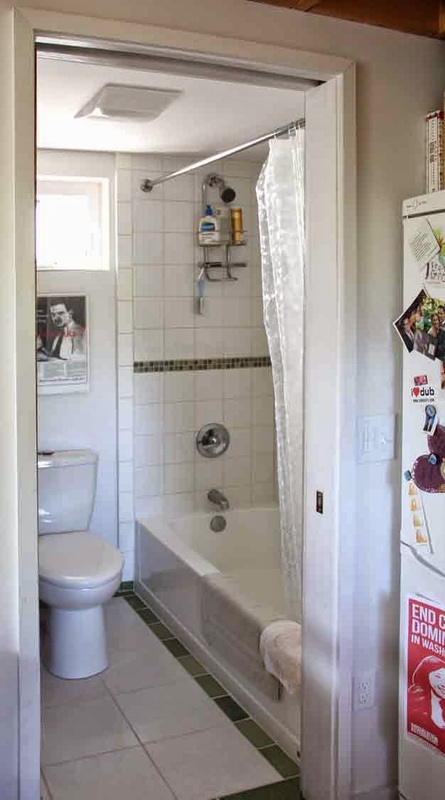 The owner is acting as the general contractor for this project. 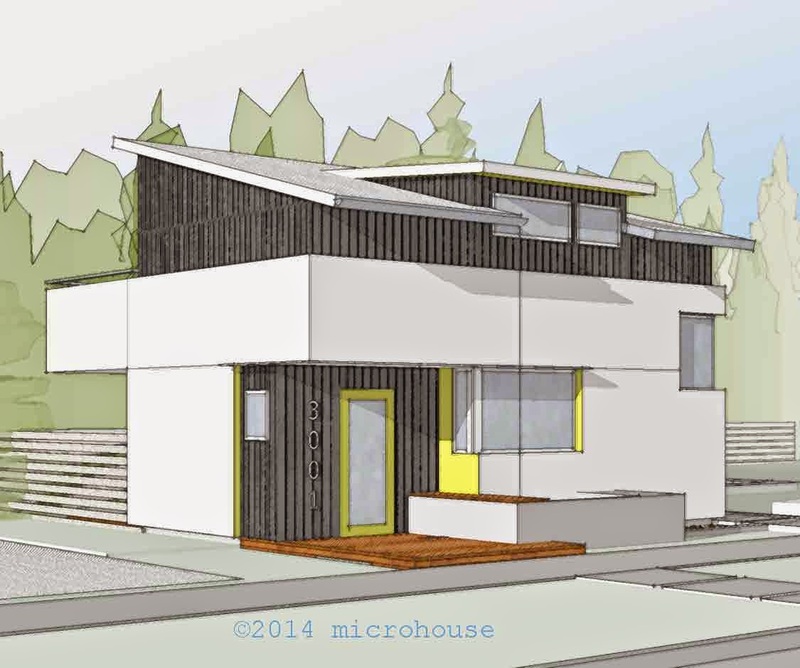 The seventh of the aforementioned backyard cottage projects is a net zero backyard cottage located in west seattle. Images coming soon. 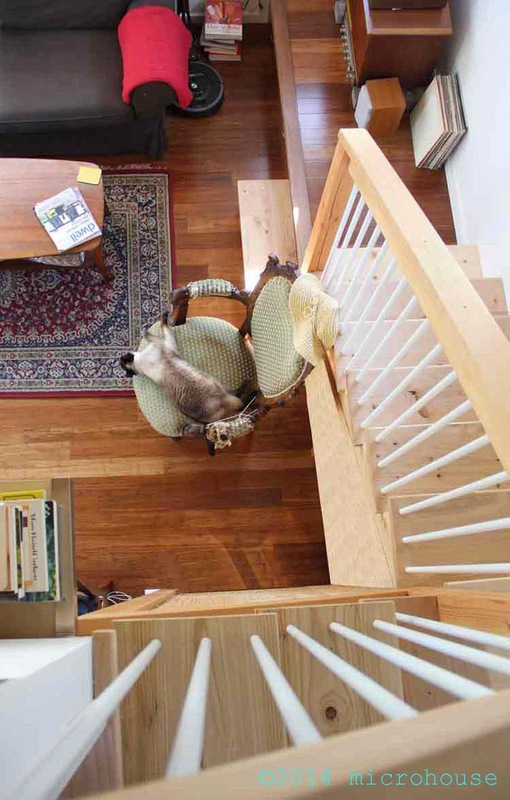 At the beginning of the design phase we staged a design charette with the cottage owner's whole family, our design team and the contractor. Around the kitchen table with scones and coffee, we had an opportunity to establish the parameters and budget and get a jump start on the design process. We knew from the beginning that the available footprint was going to be small and we worked to make the cottage feel as open as possible. 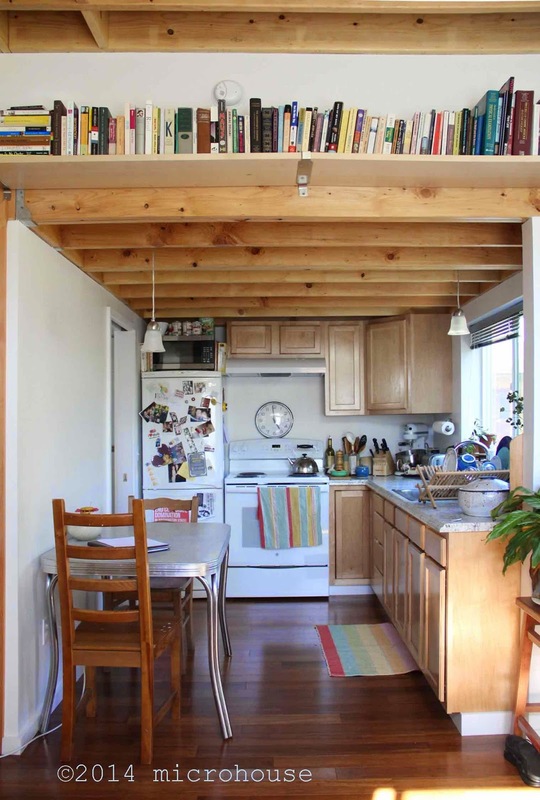 Exposed ceilings in the kitchen and the living room add warmth and make the space feel taller than it is. 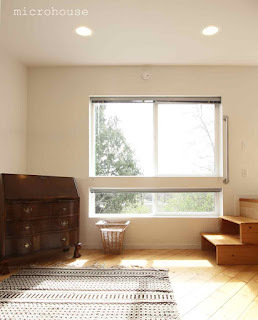 Multiple floor levels were used to differentiate spaces and bring in natural light. Looking back down to the living room from the bedroom. The sleeping area is elevated above the bedroom floor. The main floor contains a living room, kitchen and bath. A bedroom and sleeping loft are located on the second floor. The overall footprint of the backyard cottage is 14ft by 22ft. High windows bring natural light into the living room while providing privacy from the adjacent alley. 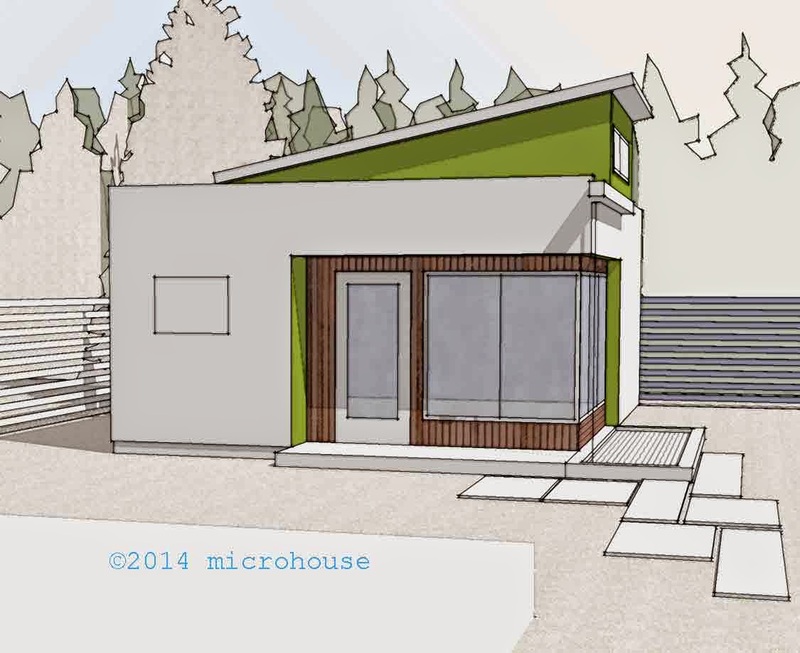 microhouse has been voted by the Houzz community as one of the best in the Houzz 2014 Awards.